Food has the ability to turn your frown upside down, even in the most upsetting situations. This is why certain dishes are known as comfort food. Different difficult situations require different kinds of dishes. Here are some of our suggestions. If you feel bored and have an empty tummy, a chocolate brownie with a scoop of vanilla ice cream on top would solve both issues. If you’re feeling stressed, snacking on something light and small will perk you up. Popcorn would be perfect for beating the stress! If you would like to cheer up a loved one who is feeling down, no one can resist the temptation of French fries with gooey cheese on top. If you’re going through a breakup, having a dish like pancakes or waffles and customizing them with your favorite toppings would lift your spirits! 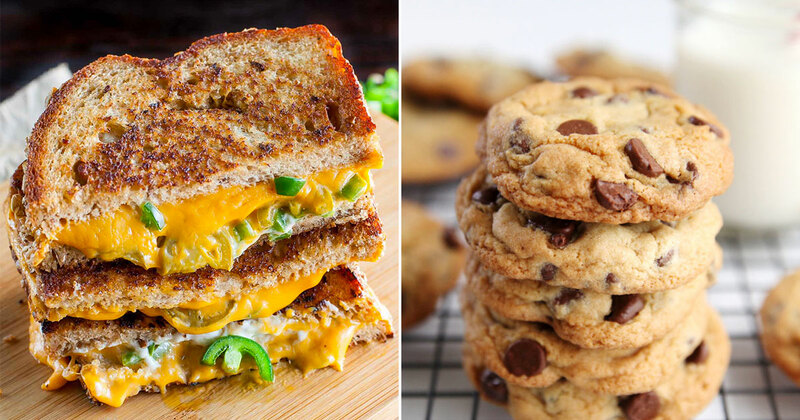 In this quiz, find out which comfort food suits your soul the best! All you have to do is answer the following questions honestly and we’ll tell you. Choose your favorite ice cream flavor! Which city have you always wanted to travel to? Who do you confide in the most? What do you look forward to after a long, hard day of work? Which snack do you want to munch on right now? Choose a puppy to pet! How about a kitten to cuddle? Which of these smells is the most comforting to you? Which of these sounds comforts you the most? Pick a bed to lay in! Choose a movie you'd watch to chill! I love all of them equally! I don't like any season! Pick a drink to cool you down! Finally, choose a home-made dish you love the most!